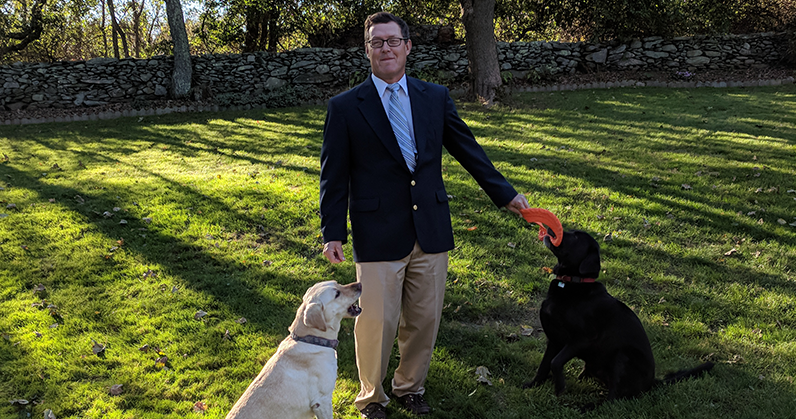 Nantucket Cottage Hospital has welcomed a new full time staff surgeon, Francis X. O’Connor, MD, to the medical staff and the NCH surgical team. Dr. O’Connor, a former captain in the U.S. Navy Medical Corps, will bring vast general surgery experience and laparoscopic surgical skills to Nantucket Cottage Hospital, and will be an important part of the team that will maximize the capabilities of an expanded surgical suite within the new hospital. The addition of Dr. O’Connor will complement the hospital’s current full-time surgeons, including longtime island general surgeon Dr. Tim Lepore and orthopedic surgeon Dr. Rocco Monto, and allow more patients to stay on-island for emergency and elective procedures. Dr. O’Connor, who is moving to Nantucket with his wife Maribeth and purchasing a home in the mid-island area, is a Massachusetts native who grew up in Woburn. The couple has four grown children: Kelley, Francis, Alyssa, and Ryan. Dr. O’Connor has served as a staff surgeon at Naval hospitals in North Carolina, Spain, Rhode Island, and most recently at Camp Lejeune where he was also the director of a multispecialty clinic. Over his 26 years in the military, Dr. O’Connor was deployed to Iraq during Operation Iraqi Freedom, aboard the USNS Comfort in support of Hurricane Katrina relief in 2005, as well as in Kuwait, and Djibouti in Africa. After receiving his bachelor’s degree in mathematics from the College of the Holy Cross in Worcester, Mass., Dr. O’Connor went on to receive his medical degree from the Tufts University School of Medicine in Boston, and completed his general surgery internship and residency at Baystate Medical Center in Springfield, Mass. Dr. O’Connor, along with Drs. Lepore and Monto, will soon be providing surgical services in the new Nantucket Cottage Hospital which will feature an expanded interventional services area, including two operating rooms, one of which will be dedicated for C-sections, as well as a procedure room. By adding a second operating room, the hospital will have the capability to accommodate elective and emergency surgeries, as well as C-sections, simultaneously. The interventional services area also includes five private infusion bays for chemotherapy treatment and other infusion therapies, as well as a dialysis center with three treatment rooms that increase the hospital’s capacity to provide this critical service.